Best new singer Dua Lipa. Puerto Rican singer Ricky Martin and US-Cuban singer-songwriter Camila Cabello. 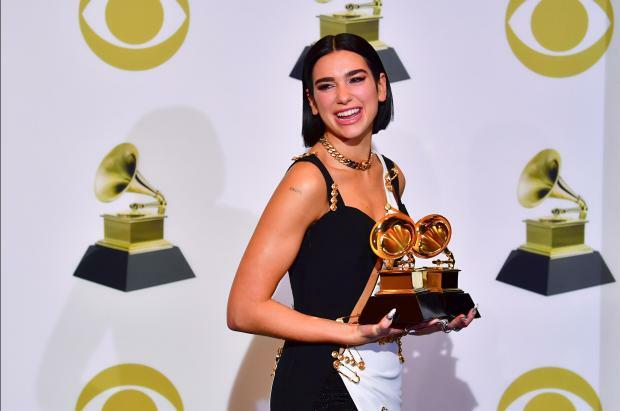 A bold streak of feminism ran through the Grammys gala on Sunday, as women artists dominated in the competition and on the concert stage - while rappers Cardi B and Childish Gambino delivered a history-making night for hip-hop. Gambino - the musical alter ego of actor Donald Glover - posted four big wins for his provocative hit "This Is America," but did not attend the star-studded ceremony in Los Angeles. One year after they were largely snubbed in major categories, and the head of the Recording Academy sparked outrage for telling them to "step up," they made their presence felt - and heard. Michelle Obama wowed the audience. And rap's woman of the moment Cardi B certainly put her art out there - she made history as the first solo woman to win a Grammy for Best Rap Album for her debut "Invasion of Privacy." Musgraves' third studio album beat out a crowded field of heavyweights for top honors including rappers Kendrick Lamar and Drake - both of whom ended the night with just one win each. Gambino and Lamar skipped the ceremony, but Drake showed up - and the Toronto rapper vented his frustration over a common complaint in recent years, that black hip-hop artists are not always given their due. 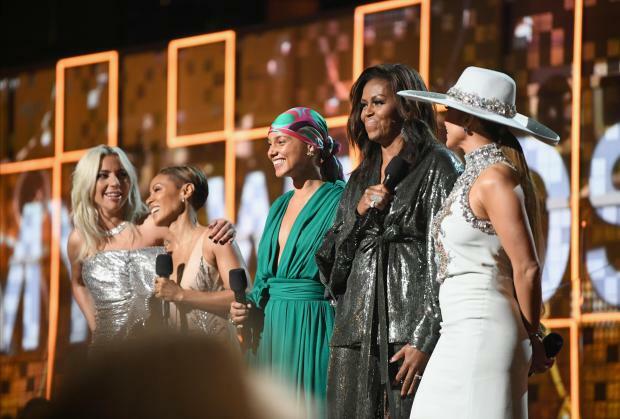 Host Alicia Keys got the show at the Staples Center off to a rousing start when she introduced a few of her friends - including former first lady Michelle Obama. Brandi Carlile - this year's most nominated woman - won her first three Grammys ever, in the Americana and American Roots categories. Pop diva Gaga - sporting an off-the-shoulder silver number with a bold ruffle and thigh-high slit - meanwhile won an award for Best Pop Duo/Group Performance for her heart-pounding hit "Shallow" from the blockbuster film "A Star Is Born." Song of the Year (recognising songwriting): Donald Glover (Childish Gambino) and Ludwig Goransson, "This Is America"